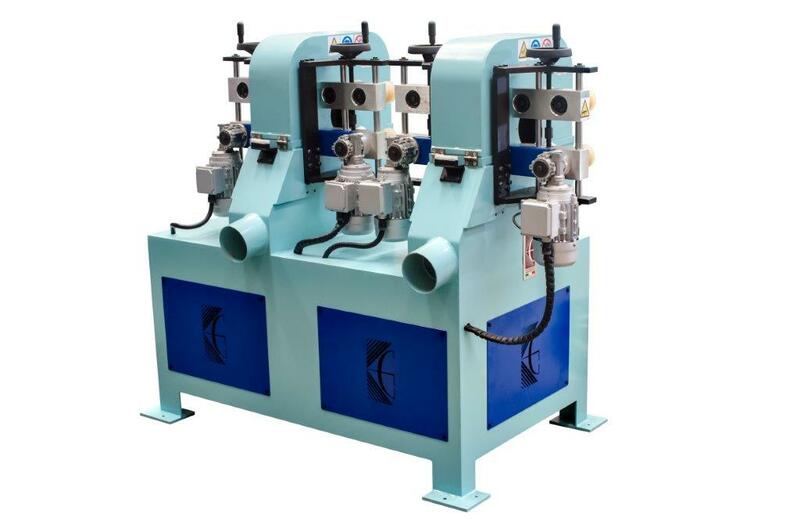 Orbital sanding line with abrasive belts, consisting in n°2 LPC300 unit put on single base frame suitable for sanding and finishing operations on STRAIGHT parts having round, oval, elliptical or irregular section made of wood, bamboo, rattan, plastic materials and metal. 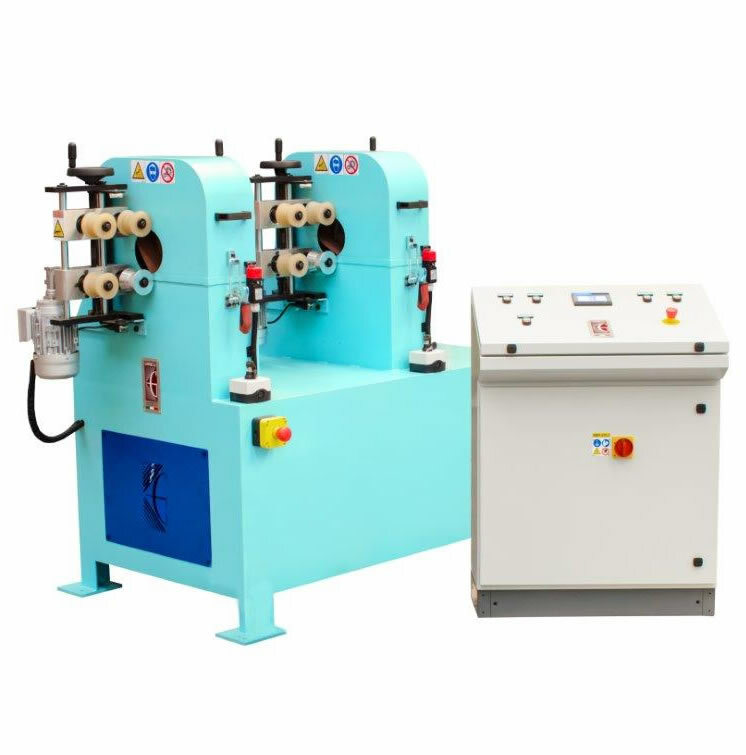 First unit is normally equipped with rough abrasive belts for sanding operations while on second unit are mounted finer abrasive belts for finishing operations. A.m. tandem machine is suitable for parts with max. diameter 100 mm. and is equipped with double front/rear feed system, for straight round parts , not taper ones, with min. length 320 mm. This tandem sander is particularly suitable to sand, prepare for painting and lacquering furniture components, sticks, short bars, but also curtain rods, straight handles for agricultural tools, handrails, sports appliances and round poles . On each unit are mounted n°2 abrasive belts – size 940 x 60 mm. According to specific requirements is also possible to customize such automatic line with extra heads for further sanding processings .